Everyone’s going Lego crazy and I have to say I’m one very much joining the band wagon. Its a great film, nostalgic, funny and insanely clever, the animation is unprecedented! So for our very first outing The Reel Film Show were invited along to a very special ‘celebrity screening’ of The Lego Movie (get us eh?!) and I had a chat or two with some famous faces (of sorts). Bottom line is that everyone has and always will love lego and the excitement to see the film was incredible. Its out tomorrow and I’ll be bringing you my usual round up of films to watch in 60 seconds so please stay tuned for that, but in the meantime enjoy! Get ready Efronites, as the High School Musical star is all grown up! 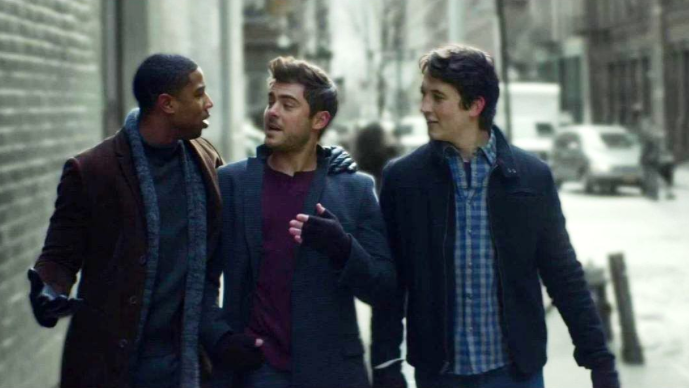 Not only is he more of a twenty something man magnet rather than a tweenie twisting jazz hand sensation, its pretty clear from his new film That Awkward Moment that he’s trying to break free into the more adult marketed rom-coms. However the question remains, is this such a good thing? 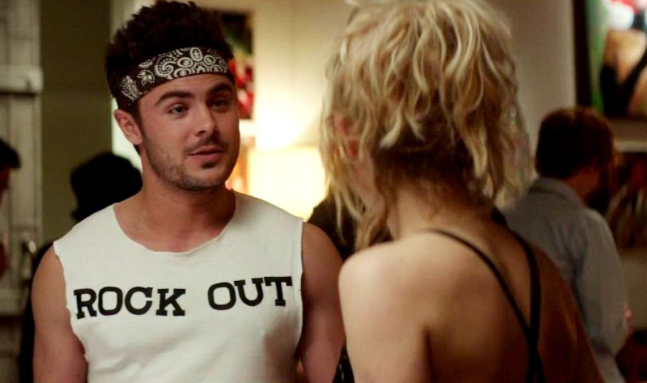 Well lets take a look at That Awkward Moment, not just a film that Zac Efron stars in, he also Exec Produced it, so there’s definitely something a bit more grown up about this actor, he’s branching out. However the content of the film can still draw his stable audience of young (and not so young) fans. This is ultimately a fun film which you can take or leave. It’s more one for the girls who want to drool over the male eye candy rather than take away any deep and meaningful message about relationships and the like. However, it is fun in parts, there are some memorable scenes, particularly the mis-hap fancy dress scene where Efrons character Jason makes quite an impression on Imogen Poot’s (Ellie) parents, and it does show you how relationships can be fun and exciting when they’re just starting out. There is also the Viagra/toilet scene (which has been used to market the film where possible), where we see a naked Zac Efron trying to go to the toilet ‘post pill’ which caused one or two chuckles from the audience. However, there are key factors in this film that really do bring it down. As it progresses, there are such cliché moments of chauvinism and male ‘wolf-pack’ bonding that really makes you feel like this film is just trying a bit too hard. There is also excessive dropping of the ‘F-Bombs’ which at times feel unnecessary and something that only the scriptwriter felt would make the film resonate with the 20 something generation of today’s society, sadly that is altogether slightly misunderstood. On the plus side, the characters are fun, likeable in parts and laughable in others, so its not a film that you will go and see and wont like. It is a more mature performance for Zac Efron, he definitely is trying to strike that balance of trying something new whilst not alienating his current fanbase, which is a wise move. Michael B. Jordan plays the married too young, quarter life crisis character with ease and believability and Miles Teller’s ‘Geek Chic’ sidekick completes the boys club well. Imogen Poots is great as the slightly quirky, pretty love interest and provides the voice of reason throughout. So That Awkward Moment, isn’t totally awkward in itself. Its definitely one for selective audiences of the Efronite movement and maybe a few more, the acting is good and if you can believe that young twenty-something’s can really live in those large bare-bricked Manhattan apartments with cool creative jobs designing book covers for a big publishing house, then this film is the film for you. That Awkward Moment is in cinemas today. So you may all remember that last week I posted a pilot of some content from a brand new film channel that I am presenting called The Reel. Well, move over pilot and hello Episode 1! 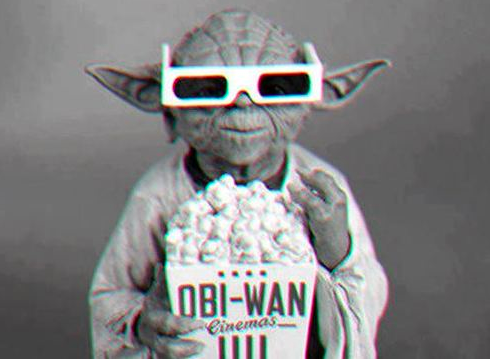 Sound fixed and every Friday you’ll be able to see my top recommendations for whats hitting the cinema each week. So, if you’re stuck for something to do this weekend, never fear Becks is here! This week is totally action packed, there’s loads of great things going on at the cinema, so all I ask is you please support this show by sharing, following, tweeting (@thereelfilmshow) and subscribing. Also, it would be great to hear what YOU want from a film show. In February we’re bringing you a bigger brighter version of a film show, hopefully something a little different that celebrates everything film has to offer from Independent Cinema, to fun facts and of course our very own thoughts on the big films coming out each week. So please do follow all the platforms which we’re posting on to stay tuned, if you love films then we’re creating this just for you! Thanks for all your support and look out for Gone in 60 Seconds every Friday! Well its been a busy start to 2014 for me, I’ve brought together some of my favourite people and my favourite subject to develop a brand new film show for YouTube called The Reel. Its launching in February, but we wanted to start getting some of the content out there, including a very quick round up of the weeks hottest films that will be hitting the cinema every weekend. 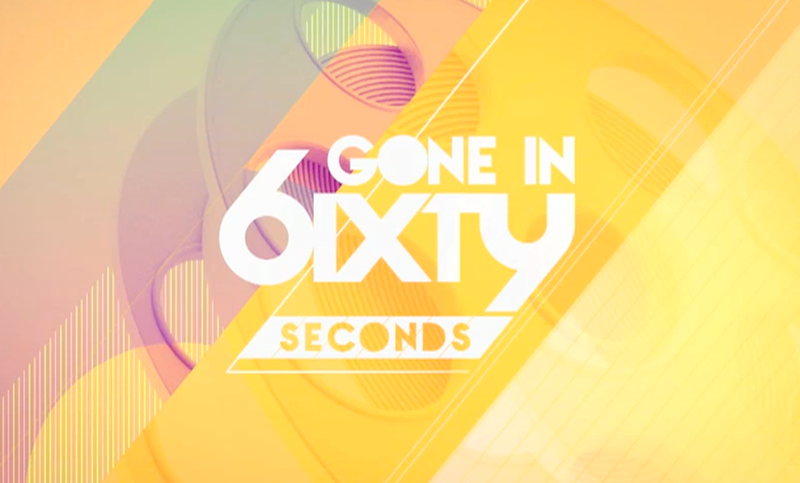 So, introducing the pilot episode of Gone in 60 Seconds, our top tips to watch at the cinema this weekend. As it is a pilot episode please forgive the couple of technical hitches that have been happening (mainly the sound) but regardless of this you get the gist, so it would be great to see what you all think. If you like this please do share it, follow our brand new Twitter handle @thereeldeal2014 and subscribe to the channel on YouTube. We want to create something fun for all you film fans out there, so hoping that this could be the start of something great! Stay tuned, wish us luck and please, do send me your thoughts and suggestions. 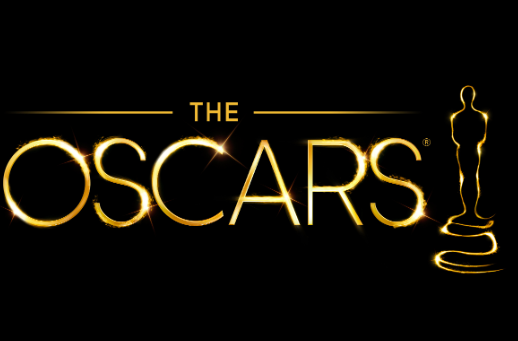 The road to the Oscars has officially been paved! Not the most surprising list of nominees but great to see the predicted big hitters present in full force. Gravity and American Hustle are leading the way with 10 nominations, followed hotly by Steve McQueen’s 12 Years a Slave. Its great to see a couple of surprises such as Her being nominated for Best Picture, and very little for Inside Lleywn Davis but hey! You can’t win them all. Also fab from the Brits with Sally Hawkins and the team behind Philomena picking up some nominations, so lets hope that they truly dominate on 2nd March 2014.